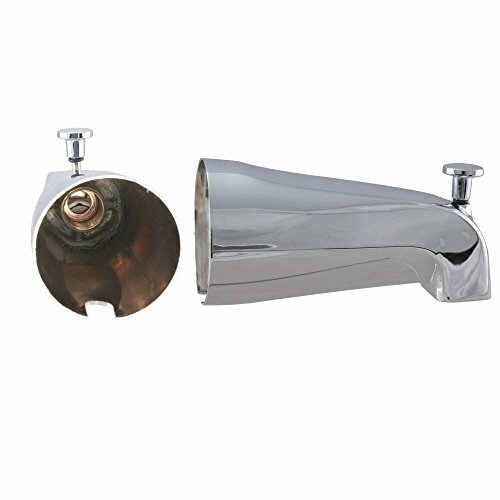 This diverter tub spout from Westbrass features a front diverter knob and a 1/2 inch IPS connection. The Polished Chrome finish complements your existing fixtures. Its sleek and understated design blends seamlessly into any aesthetic.